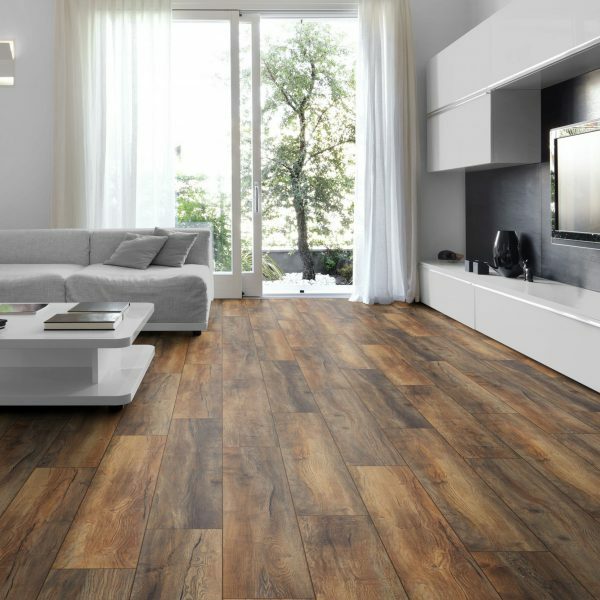 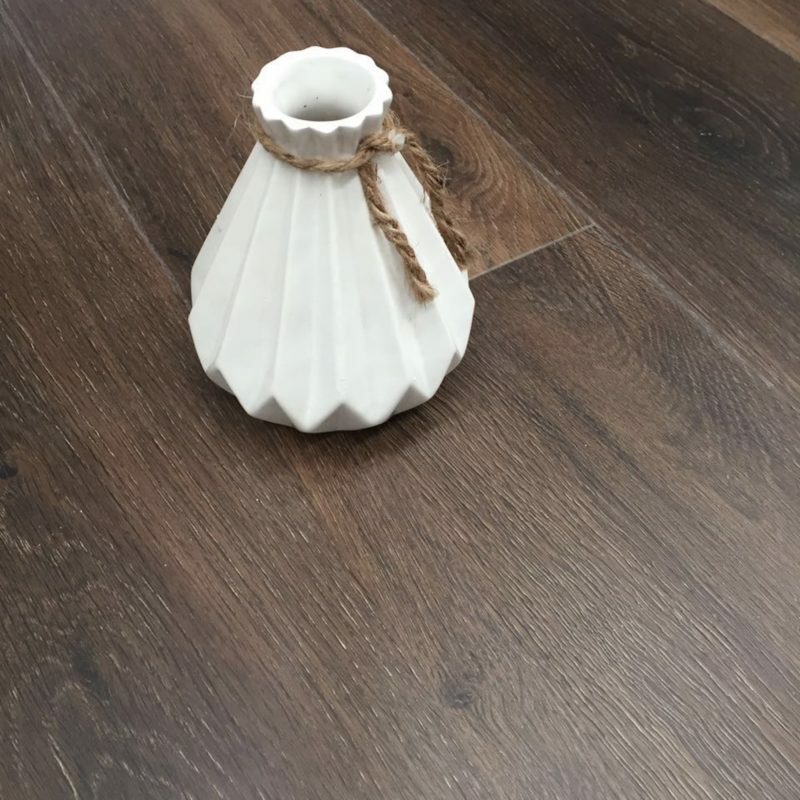 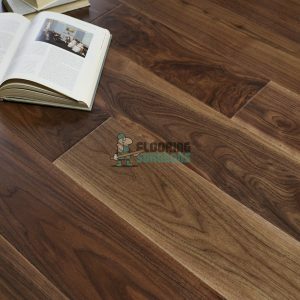 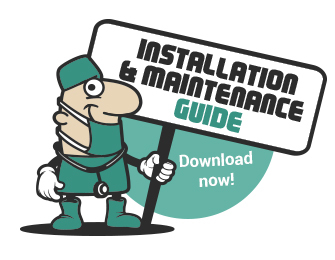 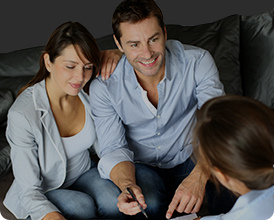 Laminate flooring is practical and hardwearing, making it the perfect choice for any living space. With our Kronotex range, picking a practical floor does not mean you need to compromise when it comes to style. 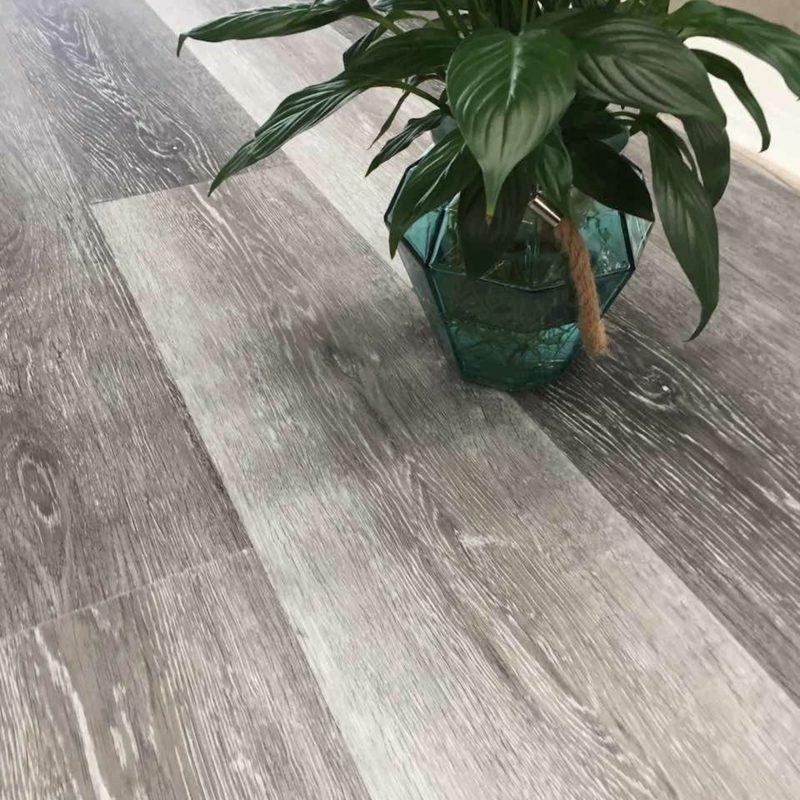 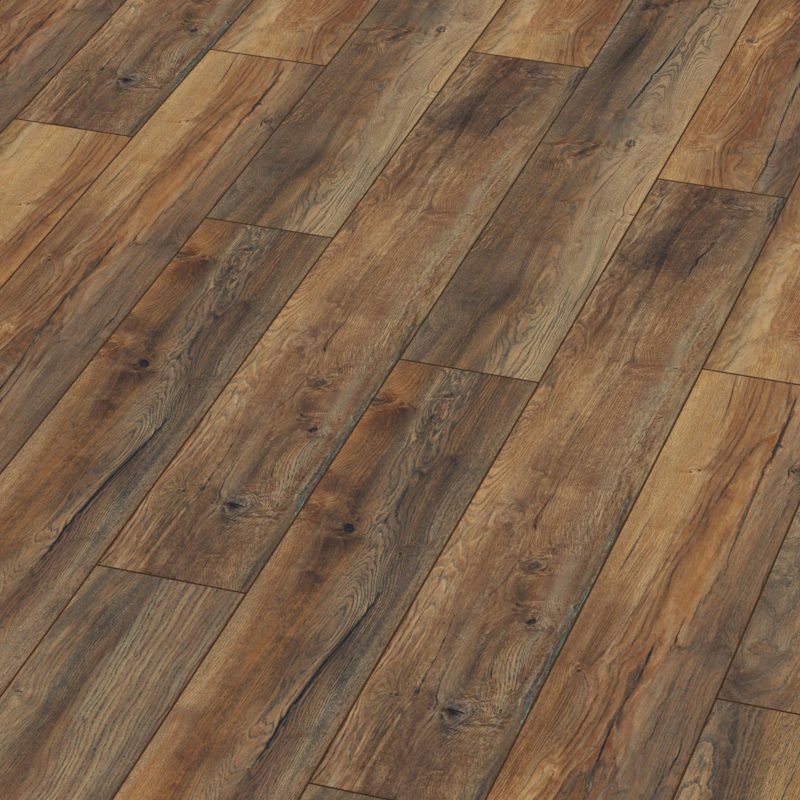 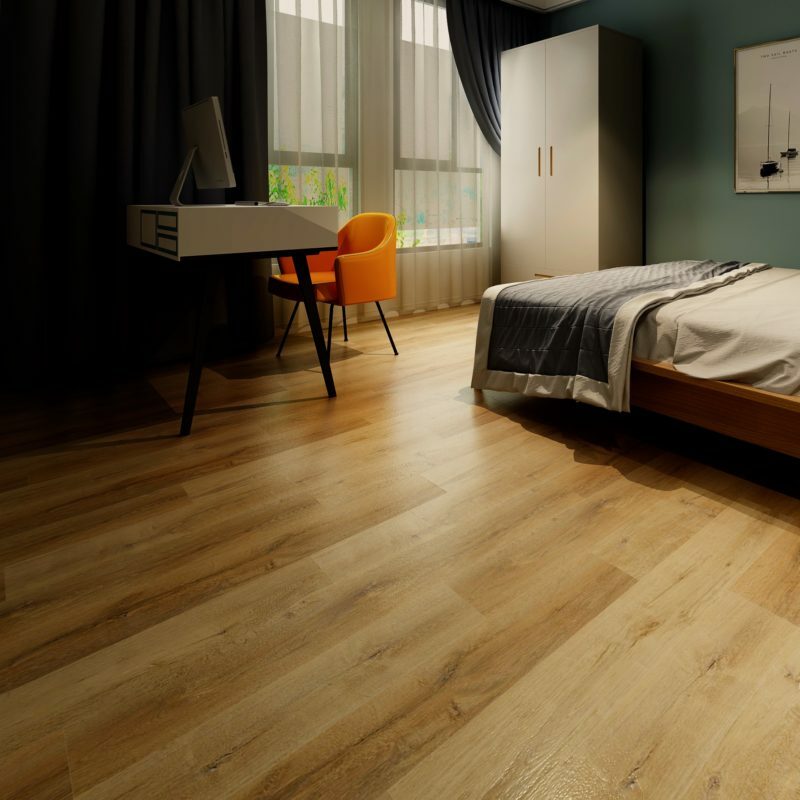 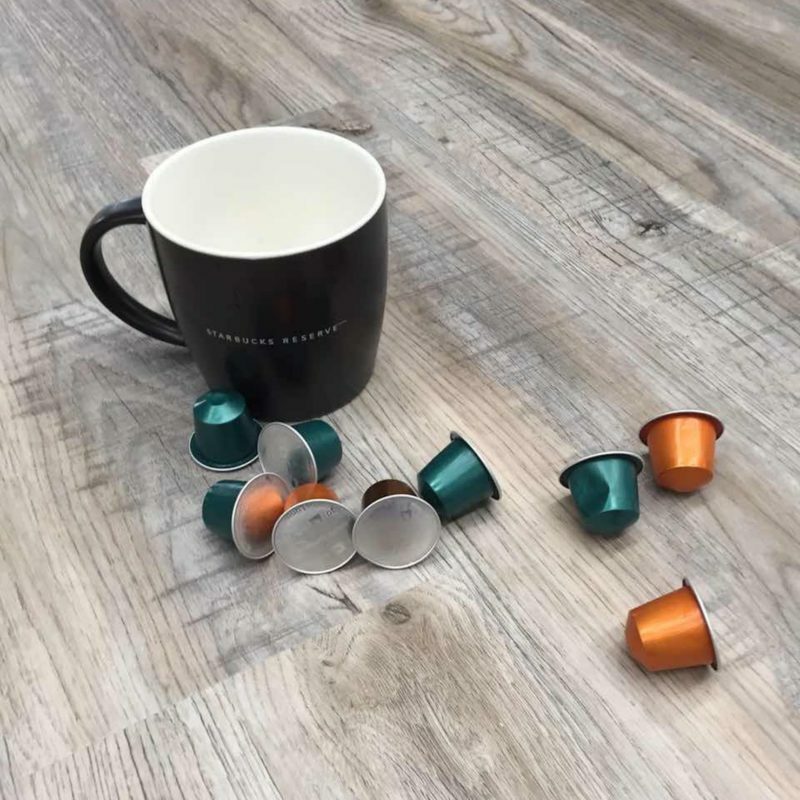 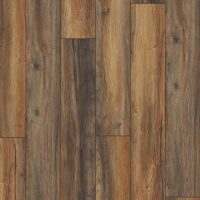 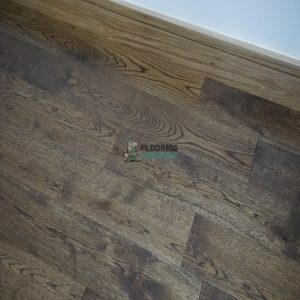 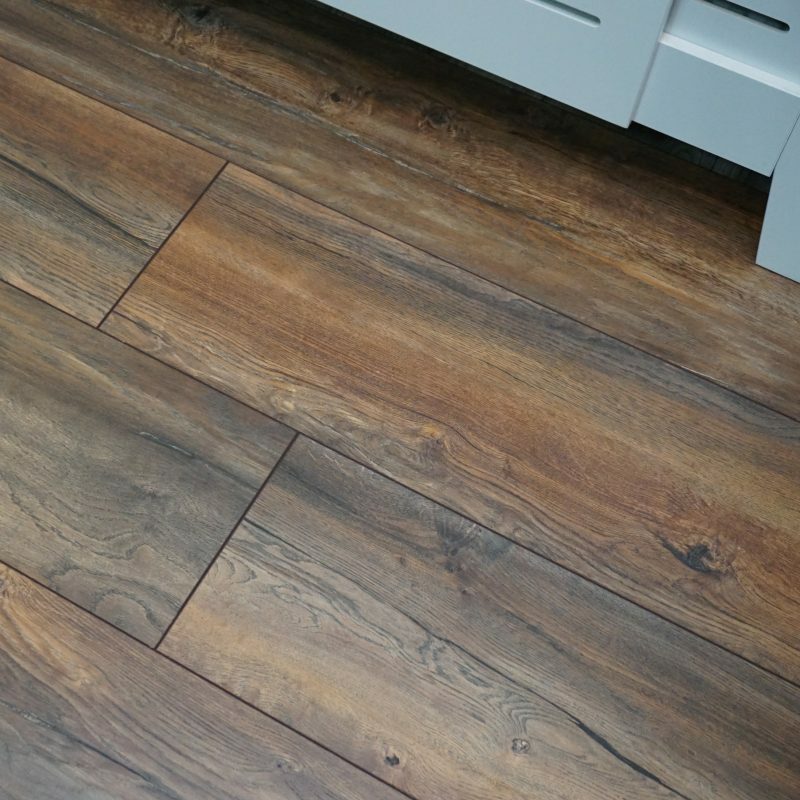 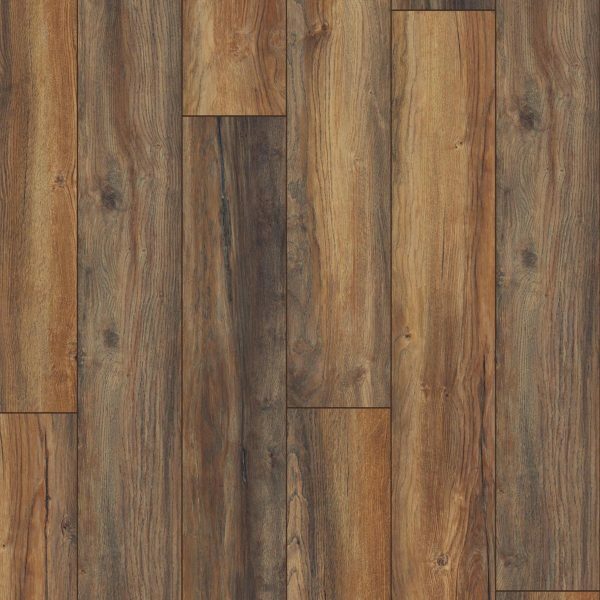 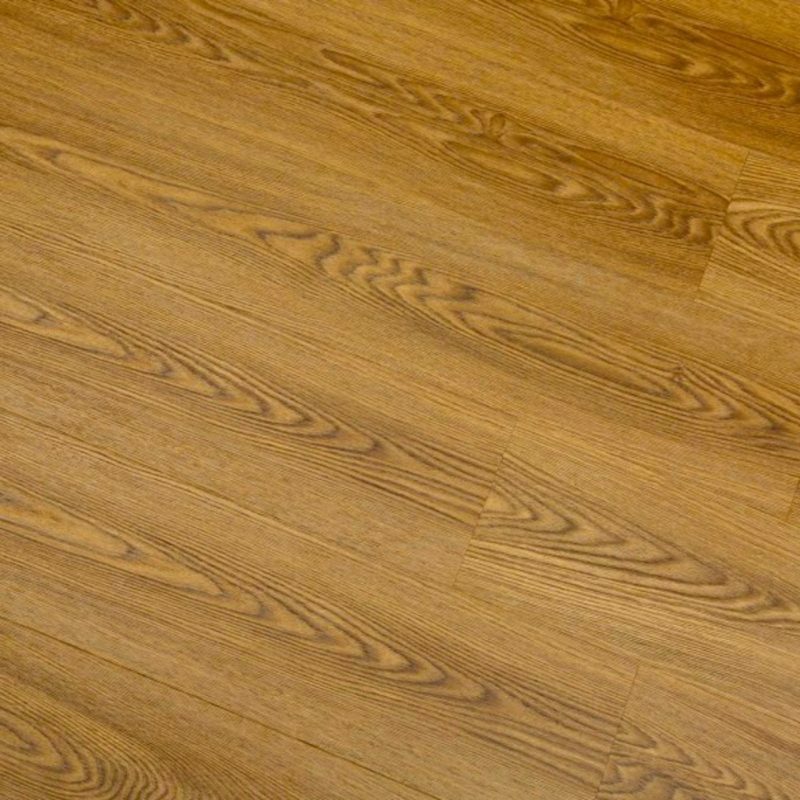 This selected range of laminates are designed to look as close to real wood flooring as possible, with a high quality applique layer and bevelled edging, which mimics the look of real wood planks. This Harbour Oak is a rustic toned floor, which combines a mixture of dark and medium shades of oak, providing a distinctive look. 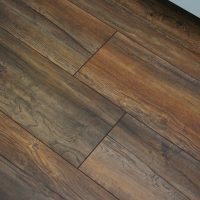 The presence of subtle knots, markings and streaks, provides an authentic and contemporary look. 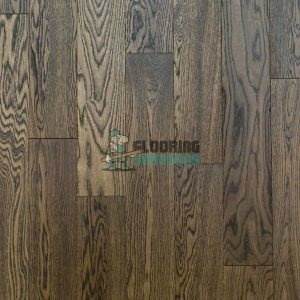 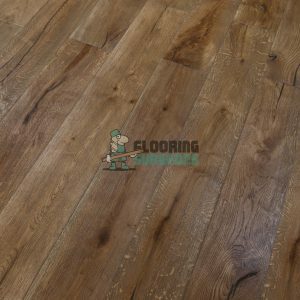 The textured and embossed finish to each plank also means that your floor will feel warm and soft on the feet, and adds an element of slip resistance.